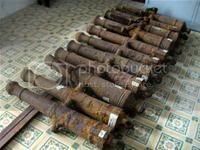 24 August 2006 (Viet Nam News) – An ongoing exhibition featuring shipwreck finds off the waters of Vietnam in the Can Tho Museum. An exhibition featuring 400 ancient relics salvaged from five shipwrecks off the Viet Nam coast opened at the Can Tho Museum on Tuesday. Most of them are porcelain and pottery made in China, Thailand, and Viet Nam between the 15th and 18th centuries and are part of more than 500,000 items found aboard ancient vessels which had sunk off the Cham Island (Quang Nam Province), Dam Island (Kien Giang Province), Cau Island (Ba Ria-Vung Tau Province), Binh Thuan and Ca Mau provinces. 8 August 2006 (Viet Nam Net Bridge and Thanh Nien Daily) – The find of a stone instrument near the coast forces archaeologists to relook at their origins – they were previously only found in highland or mountain regions. A musical instrument made of stone, thought to be centuries old, has been discovered on a beach in south-central Vietnam. The dan da (lithophone), which was in Binh Thuan province, possibly belongs to the Sa Huynh Culture, which existed between the second and early nineteenth centuries. 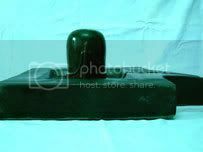 According to experts from the museum, these finds are a Dan Da, a stone instrument made by ancient peoples in the neolithic era. However, these were all found in highlands or mountain areas, and archaeologists had thought Dan Da were only made by ancient highland tribes. With recently discovery, the hypothesis must be reconsidered as Ham My is very close to the coast.